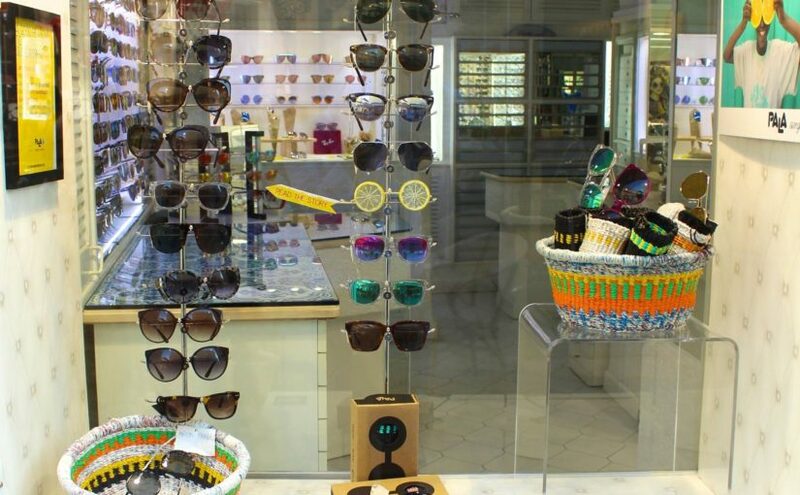 On the Italian island of Capri, a shop called Ottico Cimmino has dedicated their front window to Pala sunglasses and a small collection of our baskets! We work closely with Pala and supply unique hand-woven cases for their sunglasses. A fair percentage of money from every case purchase goes to the weavers that produced them. Pala also works with Vision Aid Overseas to fund life-changing eye care projects in Africa through sunglasses sales.